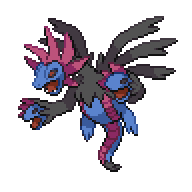 Hydreigon is a dual-type Dark/Dragon pseudo-legendary Pokémon. 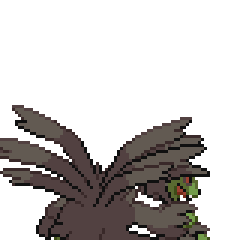 A level of "Start" indicates a move that will be known by a Hydreigon obtained at level 1. 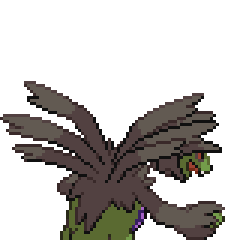 No other Pokémon has the same type combination as Hydreigon and its evolutionary relatives. 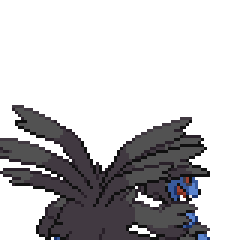 Hydreigon shares its category with Sharpedo. They are both known as the Brutal Pokémon. Much like its naming pattern, each member of its evolutionary line learns a Normal-type move that involves the number of hits. 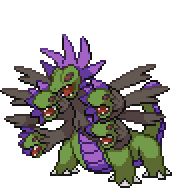 In Hydreigon's case, Tri Attack. Hydreigon is the only pseudo-legendary Pokémon to have Dragon as its secondary type rather than its primary type. 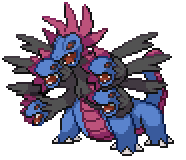 Mega Hydreigon has the highest special attack of all non-legendary Dragon types and is tied with Hoopa-Unbound for the highest special attack of all Dark type Pokémon. This page was last edited on 22 February 2019, at 06:53.